A welcome break from writing, and an interesting morning in my fourth office (Scarborough Fish and Game Association). Author and magazine writer Tim Queeney chronicles my efforts to help a couple choose an effective, but manageable firearm for their sailing trip through the Northwest Passage. The catch? They’ve never touched a firearm before, and their choices are limited by Canadian and Greenland federal laws, which requires them to carry a shotgun or big game rifle to protect themselves from polar bears. Not exactly beginner firearms. 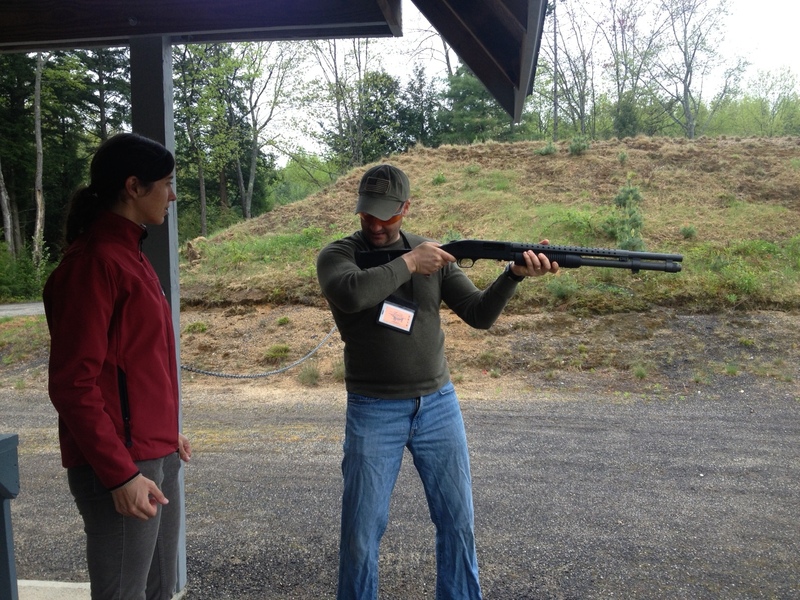 Check out Tim’s recap of our morning at the gun range. Steven, You make a really well written black flagged series fall flat on its face, you,your copywriter and editor should be taken back to journalism 101. We are not fighting a war on terror-we are fighting a war on terrorism. The word terror implies fear as in when we see darcula. Look it up in the dictionary. It is an almost fatal error. We are not fighting a war on being frightened. Larry, Take a look at this link. Global War on Terrorism is the text book term, but War on Terror was a perfectly acceptable term for the actions taken by the international community against Al Qaeda after 9/11. George Bush coined the phrase.